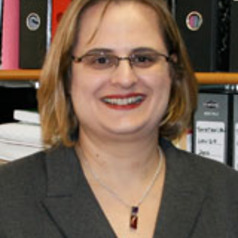 Natalie Stoianoff is a Professor in the Faculty of Law at the University of Technology, Sydney, and the Director of the Intellectual Property Program. She is the Chair of the Faculty Research Network for Intellectual Property, Media and Communications, and the Convenor of the China Law Research Group. Natalie’s interdisciplinary research is concerned with the legal, ethical and commercial aspects of biotechnology. In particular, her research interests range from the Patenting of Living Organisms, Technology Transfer and Environmental Taxation. As a joint recipient of an Australian Research Council Discovery Grant, Natalie is currently investigating Intellectual Property enforcement and awareness building in the People's Republic of China. She is a co-author of the Federation Press publication, Intellectual Property Law: Text and Essential Cases, adopted by several Australian universities and now in its fourth edition. She has been the author of numerous Patent Law Bulletins, for the publication, Lahore's Patents, Trade Marks & Related Rights Reporter, published by Butterworths, and has edited the multidisciplinary book, Accessing Biological Resources, Complying with the Convention on Biological Diversity, published in 2004 by Kluwer Law International Environmental Law & Policy Series. Natalie has been the recipient of a number of research fellowships including at the Max-Planck-Institute for Intellectual Property, Competition and Taxation Law, Munich, and the Inaugural Professor Anastasios Dontas Travelling Fellowship for her paper on the regulation of genetic technologies in medicine at the Greek/Australian International Legal & Medical Conference, June 2001, Corfu. She is a Visiting Professor at the Faculty of Law, University of Wollongong, and is a regular participant in the annual Global Environmental Taxation conference series publishing on the impact of taxation concessions for mine site rehabilitation, conservation covenants and other environmental activities. A graduate from the University of NSW with a BSc and LLB, Natalie was admitted as a Solicitor of the Supreme Court of NSW in 1987 and has practiced as a solicitor with two major Australian commercial law firms before commencing her own specialised practice in the field of Intellectual Property Law and Commercial Law. In 1990, Natalie also completed a Master of Applied Science (Biotechnology) from the University of NSW, comprising coursework and a research thesis considering government incentives for research and development in biotechnology. For many years she was a Business Editor for the Australasian Biotechnology Journal contributing a regular legal column, Legal Notes, relevant to the industry. More recently she was a member of the Editorial Board for the Journal of Natural Resources Law and Policy, and is currently a member of the editorial boards of the Macquarie Journal of Business Law and the Journal of the Australasian Tax Teachers Association. Natalie was the primary editor of the first issue of the Journal of the Australasian Tax Teachers Association, published on-line in December 2005. Natalie is a Certified Tax Agent of The Taxation Institute, was a Founding Director of the Australian Institute of Health, Law and Ethics, and has been a member of the New South Wales Committee of the Licensing Executives Society, and the Patents and Licensing Working Party of the Australian Biotechnology Association. In addition, Natalie has contributed to economic policy development in Australia as a member of the Taxation Policy Committee and the Economic Affairs Standing Committee of the New South Wales State Chamber of Commerce and has been a member of the New South Wales Board of the Australia China Business Council for 8 terms and is currently a Vice President.